March | 2014 | "It's Only Nuts & Bolts"
It is not possible to spend much time in Sydney without coming up against its convict roots; the city was after all built by those men, women and children who found themselves on the wrong side of the law and transported to the other side of the world. During the 17th & 18th centuries the industrial revolution in Britain, coupled with a dramatic rise in population, had resulted in extreme poverty and with it a huge increase in crime rates. In an attempt to combat the problem more and more crimes became punishable by death culminating with up to 200 capital crimes being on the statute books. These included such things as pick-pocketing more than a shilling, cutting down trees, forgery, arson, piracy, being out at night with a blackened face and unmarried mother concealing a stillborn child. The situation had got to the point where a public execution became more of an entertainment than a deterrent. An alternative punishment was needed which, coupled with the desperate need for a labour force in the new overseas colonies, lead to the introduction of Transportation. Sentences of 7 years, 14 years or life could be handed down, but the reality was having been deposited in a foreign land thousands of miles from home, it was a life sentence. The courts would pay for your transport out, but it was up to you to find and pay for a way back. Transportation to the American colonies had been taking place for some time when “The First Fleet” set sail from Portsmouth on the 13th May 1787 bound for Australia. This was made up of 11 ships carrying more than a 1000 people, including convicts, sailors and marines. The fleet finally arrived in Botany Bay on 20th January 1788, representing the start of the settlement which became know as Sydney. For the first 30 years or so life within Sydney was relatively relaxed for the convicts who arrived. There were no jails or barracks in which they were housed so they were generally free to move around as they wished. That’s said they were there to provide labour for the development of the colony and as such life was still relatively tough. The Hyde Park Barracks were constructed in 1819 to house the convicts coming into the rapidly growing city. It was no longer considered appropriate that they should be housed amongst the free inhabitants, in part due to the increase in petty crime and anti-social behaviour. Some convicts were still able to live reactively freely as part of the benefit system which was put in place to encourage hard work and a respect for law and order. It is thought that as many 50,000 transported convicts passed through its doors between 1819 & 1848. The last convicts arrived in Sydney in 1840 after which the barracks was used as a jail and als¬o to house orphans arriving from Ireland to escape the potato famine which was having such a devastating effect on the population there. When the barracks finally closed its doors the last few prisoners were transferred to Cockatoo Island in the harbour which had become the main prison site. 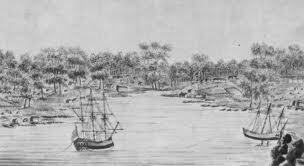 December 1840 saw the last official convict ship, The Eden, off load its cargo in Sydney following the British Governments decision to stop transportation to New South Wales. It was increasingly being seen as an immoral, uneconomic and a counter productive form of punishment. There were stories about people committing petty crimes simply to get sent to the colonies to start a new life having received a letter from a family member telling them of the wonderful life that could be had on the other side of the world. Increasingly the population of Sydney was becoming embarrassed by their penal origin which was dramatically demonstrated when the convict ship Hashemy arrived in 1849 to be met by a crowd of 5000 demonstrators. 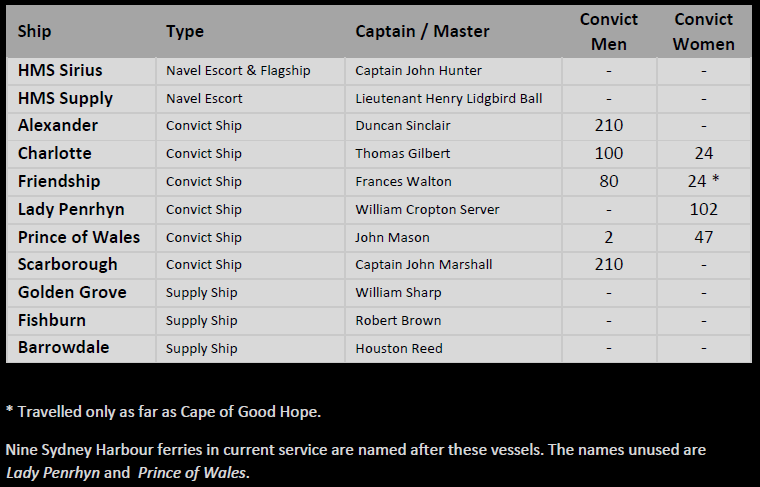 The ship was turned away with no convicts being landed. Transportation of convicts to Van Diemen’s Land, now Tasmania, continued until 1853 with 1868 seeing the final ship landing convicts in Western Australia. With the bicentennial of the First Fleet and the founding of the city of Sydney and colony of New South Wales, people have became increasingly interested in their history and convict roots. No longer is their any embarrassment in being related to a felon, it is in fact worn as a badge of honour. If you can show that there is a convict in your family tree then you belong to one of the true founding families of Australia. This morning I watched the final episode of Jeremy Paxman’s “Britain’s Great War”, a four part documentary, produced by the BBC, which covered the years from the start in 1914 through to the armistice of 1918. I found it a very insightful telling of the events both on the battlefields of Europe, as well as the home front. At the 11th hour, of the 11th day of the 11th month in 1918 the guns fell silent. It is said that soldiers didn’t know how to react. They had been in the trenches for so long they remained afraid to look “over the top” finding it impossible to believe that there wouldn’t be a snipers bullet winging past their ear. Equally back home people were disbelieving. After so long could it really be over? One symbol of the truth was that at 11am on the 11th November 1918 Big Ben, the huge bell over the Houses of Parliament in London was rung for the first time since war broke out. The distinctive sound of the bell which is known the world over for marking the hour, was a powerful message to all that heard it that day, and I believe is still so today. At the end of the road where I live is a memorial to the men of the village who paid the ultimate price during both the Great War and World War II. It was erected in 1921 by the grateful villagers to ensure that they would never be forgotten. Regularly over the past 10 years I have made the effort to attend the remembrance ceremony and I still find it an incredibly moving experience. Many of those taking part the first time I was there are no longer with us, but their places have been taken by new faces who make sure that they and their comrades will always be in our thoughts. At the appointed time, Big Ben sounds out across the assembled crowd and it is impossible not to be moved remembering those that laid down their lives to ensure that we have a secure future in this land we call home. At that moment if you look out over the old men on parade, some who struggle to even stand unaided, they are tall and they proud. They are young men again reliving their experiences during those days so long ago, remembering friends and family, and they have tears in their eyes. It is 100 years ago this year that what became known as the Great War started. No one is left who took part in those events, but there are still those that recall them from their childhood; who remember immediate family members who never came home; who remember the grief and suffering that the war inflicted; who remember the incredible changes to our country in the years that followed. As we know, the Great War didn’t prove to be “the war to end all wars” as many predicted and probably prayed. Just over 20 years later Europe was at war again. Far from the lessons being learned, the events following the first war, and the actions of the allied governments, led to the second great world conflict, and wars have been part of the world’s history ever since. I believe it to be a fact that at no time since the Great War has the world been free of conflict. Will it ever be? 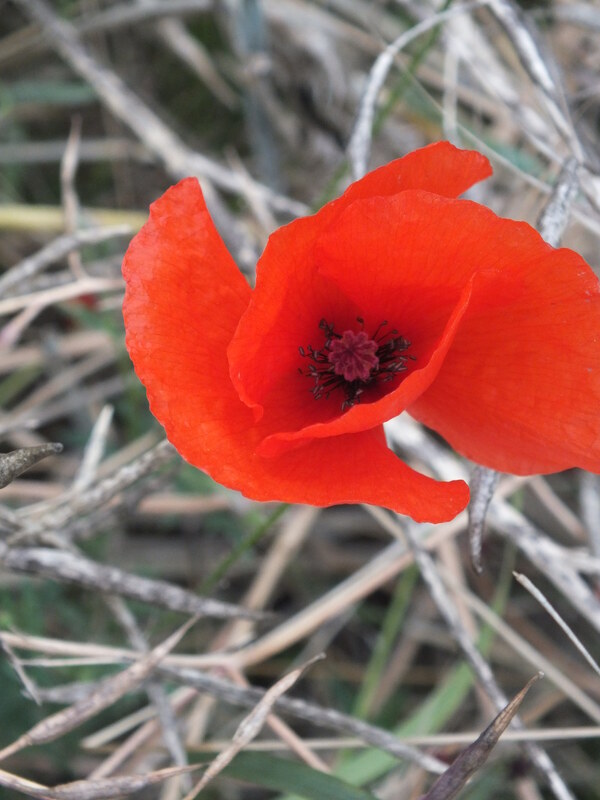 So in this year of remembrance it is important that as a race we find a way to look back and try and understand what war actually means and remember all those that took part in the Great War and all conflicts since. Last year Lauren and I made a visit to the World War II D Day landing sites in Normandy, details of which can be seen in my blog post, “The Battle Fields, France”, as well as the battle fields of the Somme. It is only by seeing these places, and the huge war cemeteries, that you get any idea of the scale of the events; although even then it is not possible to comprehend the hardships that had to be endured by all concerned. It is possible to see some of the trenches and get a feel for the place, but that is all. As educated people we don’t need to feel the hurt and suffering of war in order to appreciate its effects. Therefore it is perhaps only education which could ever see wars finally brought to an end. I arrived in Sydney very later Thursday evening and after an uneventful, if expensive, taxi journey, was back at the Quest Hotel in North Ryde where I stayed on my last trip. Friday was spent working. A relatively civilised 8 am breakfast and then a sweaty 20 minute walk into the office. With the system go live only a week away there is still a huge amount of work to get done. So after a short tour of the new office space and time to catch up with a few people, it was into the first meeting of the trip after which, head down and work. 5.30 came round very quickly and it was the end of the day. Phil kindly dropped me back at the hotel where there was time for a call back to the UK and then exhausted collapse. It’s now around 11 am and I am heading into Sydney. Having slept longer that expected I am running later than anticipated but will be in the centre of town in time for lunch. 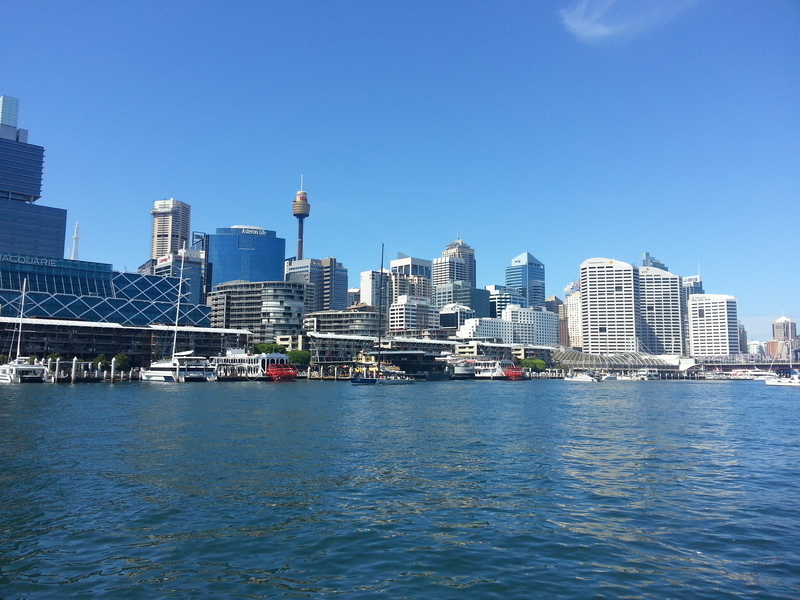 Destination today; Darling Harbour. It is hard to believe that I am sitting watching the world go by on the opposite side of the globe from home. The sun is shining and it is extremely warm, although not unbearable; just about perfect. I have had to find shade a few times to avoid burning which is what I am doing right now. Currently by Australia’s National Maritime Museum I am looking out over several of the floating exhibits, battle ships and private craft, beyond which is the business district with the high rise bank office buildings. Amongst them all is a name from home; BT. I am not sure just how far I have walked today, although I did cheat and jumped on the light rail to bring me back from the Anzac Bridge into the centre of Sydney. I have certainly seen much more of the water front and the city than before. While walking from central station I passed a number of sights including the Anzac War Mamorial, St. Marys Cathedral and the Australian Museum. There were also a couple that I will be going back to visit; Hyde Park Barracks which was the processing point for many, if not all, the convicts coming into the country. There is also the Crime and Punishment museum which I will probably visit tomorrow as it is only open at weekends. Finally I find myself back at Circular Quay so take a stroll round The Rocks and then back over to the Opera House. As I passed the Mercantile Hotel in the Rocks district a girl is singing “I’ll take the high road” which seemed a little out of place. Regardless of which road, I wonder if she will be in Scotland before me? Dinner sorted in a bar over looking the harbour and now time to chill for a while. Time to catch up on my blog and a little people watching; those in the Opera Bar and heading into the theatre. Time to cool down and relax. Another beautiful day here in Sydney; blue sky’s and sunshine so just right for some culture! First stop the Justice and Police Museum. The museum has an amazing selection of early police photographs on display showing Sydney as it was and the less savoury occupants. The scenes in the photos range from car accidents to murder and were all taken in an attempt to solve a crime. It is housed in the old police station and court buildings which show just how the petty criminals of the city were processed and punished. After some lunch it was off to Hyde Park Barracks Museum. 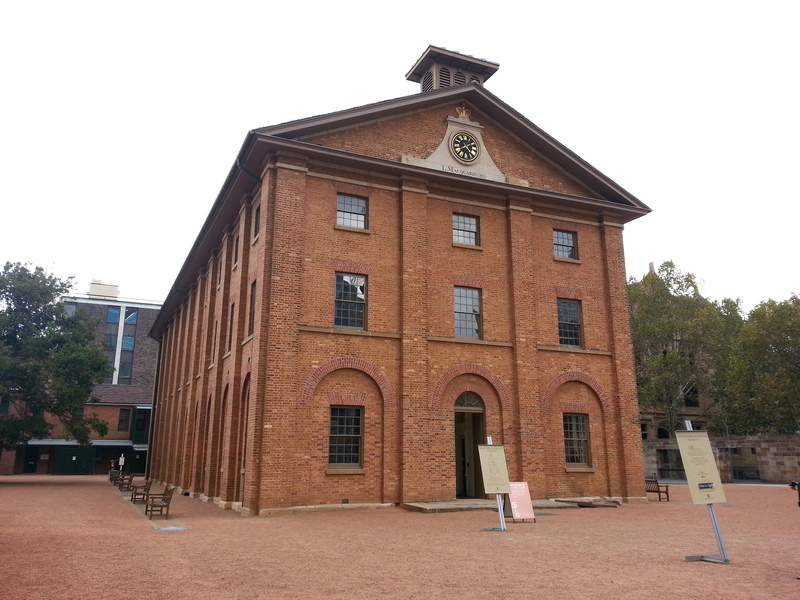 This relatively small building was responsible for processing as many as 50,000 convicts who arrived in Sydney. Constructed by the convicts themselves, the museum tells the fascinating story of how they were handled, put to work and punished. It shows the conditions in which they lived and how they were forced to sleep in hammocks with barely enough room between then to allow a man to climb in. The convict history of Sydney is a fascinating one which I intend to write more about at a latter time. I found that I had spent a good couple of hours exploring the museum so the day was coming to and end; a stroll through the botanical gardens, round the Opera House and I was back at the station. Its now Monday morning – all work till next weekend. When reading up for my previous post on Work Life Balance I came across the following table on the businessballs.com website. The more I have thought about this the more I think it makes a lot of sense. Read it and make up your own mind. The table has been taken from the article “life balance, happiness and life change“. As with many things in my working life I often wonder if my opinions are reasonable or extreme. If I view something as being unacceptable is it me, or is it actually unreasonable! Employers are always after more for less; work harder, work longer, do more. If you raise any kind of objects or clarification with your employer you are simply charged with being difficult. A recent example for me is a request for three days off work being viewed as unreasonable in the middle of a six month project; I was told that I don’t I understand how important this project is and that I must go the extra mile! The inference that I have taken from this is that if the project fails it is all my fault because I had the cheek to have a break. There is of course more to this example than I have written, but I don’t need to be told the importance of the project – they are all important. I always do the best job that I can for both my employer and the client. 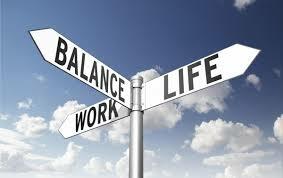 So this brings me to the point of this post – Work Life Balance. What does this actually mean in reality? Based on my experience it means nothing. It is simply one of those politically correct statements that employers use to make themselves sound good. But is this fair? Am I reading too much into these three words? I thought I would do a little research to find out. Interestingly everything I read falls into the “self help” category. “How to deal with stress”, “managing your work load”, there seems to be very little if any acknowledgement that businesses should also take some responsibility. Self help is important but if you are continually put under pressure to perform is that not wrong? Well of course it is. But underlying everything is that your destiny, your health, your happiness is in your own hands. Nobody is going to sort it for you!! If you are not happy, then say something. If nothing changes, move on! Life is too short! One of the best articles I read while writing this post was on the businessballs.com website, entitled “life balance, happiness and life change”. Read it, do the exercises and then make up your own mind what, if anything, needs to change. Yes I genuinely believe that employers have a duty of care to their employees to ensure that they are not put under undue and inappropriate pressure. However, what is “undue pressure” to you wont be to somebody else, so therefore the biggest and most important duty of care is the one you have to yourself. Well the season isn’t over yet for the club but due to work commitments it is for me; well as far as live games are concerned anyway. Saturdays loss to Sale Sharks was probably my last home game so unless we make the European Challenge (Amlin) Cup final or the Aviva Premiership semi-final I will have to wait until August to see my team run out again. This means that I am going to miss such gems as the Stinger at Twickenham or the home Amlin cup quarter final both against Gloucester Rugby. Of course I will still be able to follow the games on twitter, or more likely catchup in the morning due to the time difference, but it wont be the same. This season the club have targeted a top six finish, which up until the last few matches was looking probable, but a drop in form, coinciding with international call-ups and injuries, now means that we have a bit of an up hill struggle ahead of us. Currently in seventh and only one point ahead of Bath, we are 8 points behind Sale Sharks. I have followed London Wasps for a few years now starting back when Lawrence Dallaglio was still captain. Although I wasn’t at Twickenham I remember well the 2008 Premiership win which allowed him to finish his playing career at the very top. Since then there has been a lot of transition and, it is safe to say the results have not been as good as hoped. However the real low point came at the end of the 2011/2012 season when we finished just 1 point above relegation leaving Newcastle Falcons to take the drop. Our very last game was against Newcastle and although they beat us it wasn’t by enough points; they won the battle but lost the war! I don’t recall the exact numbers but I believe we lost three or four senior players to injury forced retirement and had something like two thirds of the first team on the treatment table. This was Dia Young’s first season as Director of Rugby, he really must of wondered what he had taken on. I recall matches where London Wasps were forced to scrape around the lower divisions simply to be able to put a team out! But this was also the year of Joe Launchbury, Christian Wade and Billy Vunipola who stepped up to the mark and helped to save the premiership position. 2012/2013 saw things come together a little better and although there was still a long way to go a more comfortable eighth place finish was achieved. The year also saw the business side of the club stabilised. Following the decision of Steve Hayes to sell up not only were things difficult on the pitch, the business faced bankruptcy. But with new owners stepping in finally everything was on the up. And so to this season. Currently 7th, but with six games to play there is still the possibility of achieving the 6th place finish that has been targeted. I had hoped to see it, but as I say I will following the run in on Twitter! Good luck @WaspsRugby. Once a wasp, always a wasp!